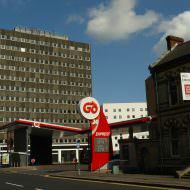 The site was occupied by buildings until c1982 when a petrol filling station was constructed. The Shell petrol filling station operated from c1982 until 2005. The fuel tanks and infrastructure were removed in November 2005. The site (0.27 acres) was then sold to Mervyn McAlister who proposed to construct Belfast’s tallest building – The Aurora. The £90 million, 37 storey Aurora tower was to accommodate 291 apartments, 146 parking spaces, commercial space and gym facilities. The proposal was recommended for refusal by the Planning Service in February 2009 and following another year of consideration the Aurora was again rejected in January 2010. In 2011 Mr McAlister was declared bankrupt and NAMA repossessed the Great Victoria Street site. In February 2012 it was reported that Lissen Coal Company Ltd had purchased the site from NAMA. Around 2007 the site was valued at approximately £7m but it is unknown how much NAMA sold the site for to the Lissen Coal Company Ltd. Commenting on the sale Stuart Draffin of BTW Shiells, the selling agents, hinted that the site attracted a number of bidders and stated that, “potential interests included residential, leisure, and retail operators both on a straight purchase and a subject-to-planning basis”. 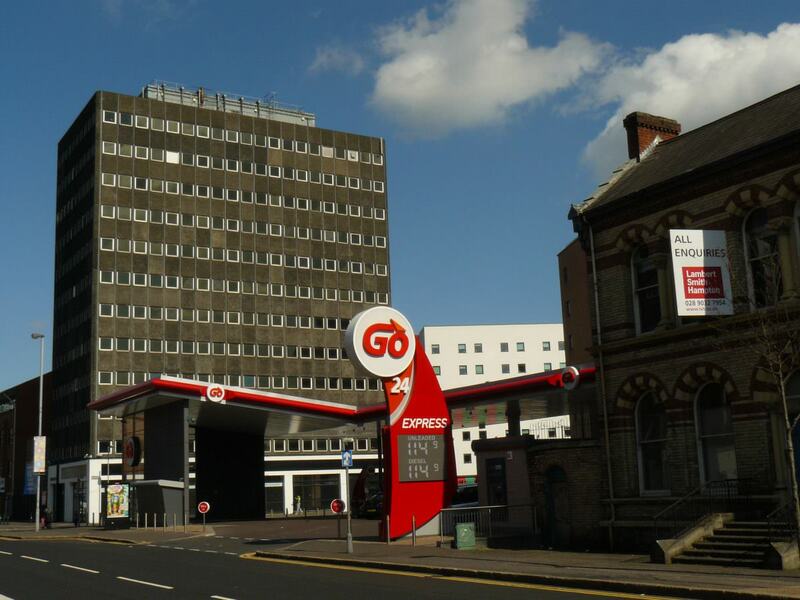 Lissen submitted a planning application in September 2011 proposing to construct a 24 hour unattended petrol filling station with five pumps, control room and ATM. Following consideration the Planning Service recommended approval in July 2012. Site hoarding was erected in August 2012 ahead of construction commencing in September. The development was completed and opened in March 2013.